Travelers insurance is a service that has been around for several decades helping those that venture away from home recover lost money, items, un-used services and unexpected medical expenses. Most travel insurance companies cover customers that take routine or otherwise uneventful trips however for those that plan to do something potentially dangerous while on vacation, this coverage may not be adequate. It is not uncommon for people on holiday to take a trip specifically for participating in sports or other activities that are inherently dangerous such as skiing snowboarding or mountain climbing. Providers have evolved to the point today where they offer specific coverage packages to individuals planning to participate in events more dangerous than they would otherwise encounter on a typical getaway for relaxation. Simply typing winter sports travel insurance into a search engine and choosing from the list of sites found is not the best way to approach buying insurance. For those who use or have purchased travel insurance before, it is common knowledge that there are many companies out there that do not have your best interest at heart and may be selling insurance that doesn’t cover anything at all. This article aims to provide the potential traveller with tips for avoiding the purchase of policies that will not help you in the event you need them because something is covered as well as outright misleading attempts to get you to buy. Trusting a well-known company has led to many people buying policies that aren’t intended to be used how the company says they are. Travelers that are offered insurance when planning a trip are sometimes offered insurance to cover unexpected events like canceled trips, missed departures and a variety of other things. Because they are buying from a company that is well known or that they already have a relationship with it is easier to simply trust what a travel agent says will happen. The truth is that sometimes agents don’t even know themselves what they are selling because they haven’t read a contract personally. Insurance companies may market their plan under the term “protection” plan, which is completely different than an insurance plan according to state regulators. In layman’s terms, this may sound like a similar thing but in the eyes of a state or state laws, this can mean the difference between the company paying out and not. Travel agents may have knowledge of this or they may not however your best bet is to not trust their word and read a contract yourself before signing or paying. If the terms in the contract say protection and not insurance or you see something else that raises your suspicions, don’t do it. There are other ways to check into winter sports travel insurance providers before you even ask an agent about a policy. Reputable travel insurance companies are supported by underwriters that are heavily regulated by the state in which they operate. Underwriters are also rated by an international rating agency called A.M. Best. Potential customers can visit the agencies website at www.ambest.com to see if the company they are planning to buy from is rated or has a poor rating. If the company isn’t even listed there, it is wise not to buy. Ratings are updated annually and in some cases bi-annually. Buying online is another way that you could be potentially scammed. Not all insurance companies that sell online are scams however, the way in which you encounter an offer for insurance online can be an indicator that the company is not reputable. For example, many people utilize online booking services like Orbitz or Hotels.com to organize and plan trips. Insurance ads may promote on these sites and entice users with easy sign up options and hidden terms in order to get them to sign up. 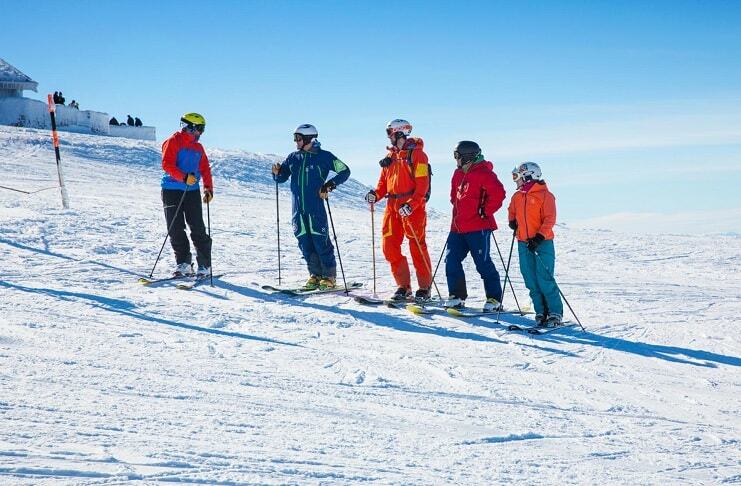 No matter where you end up purchasing travel insurance, including winter sports you need to read the policy to ensure you are getting what you pay for. It is easy to be enticed by offers of cheap winter sports travel insurance and avoid reading over thousands of words in a policy however a little diligence now could save you from wasting hundreds of dollars on a policy that cannot be used. If you cannot understand the language in the policy, many companies have customer service lines that can help answer questions. Language should be pretty straight forward and if the policy appears confusing then it was probably meant to be written that way and should not be agreed to. It has often been said about many things in life that you just can’t win them all. Insurance policies are no exception and companies cannot be expected to cover you for any potential problem that arises. There are some instances that you should watch for when reading your policy that can easily be overlooked. One is for pre-existing medical conditions, which many companies will not cover however, some do. For example if you plan to use travel insurance for winter sports and you have a heart condition that makes you faint after too much strenuous activity, a company may not cover any hospital bills incurred on the trip because of this condition. It is not to say that insurers will not cover you if you have a pre-existing condition however be sure it is included in the policy. Don’t be afraid to shop for insurance knowing what you now know about this industry, as there are many reputable companies out there that will do what they say they will do in the event you need them to. One particular company that can be looked into is www.tripinsurancestore.com, which acts as an intermediary between customers and reputable insurance companies. Checking out ratings at A.M. Best is also a good way to find an insurer that will treat you right. No matter where you go though be sure and read your contract before you sign, ensure that the company will cover unexpected events that may be relevant to you or your trip and avoid buying insurance online unless terms and conditions as well as policy language are readily available from the site or a customer service number is provided.